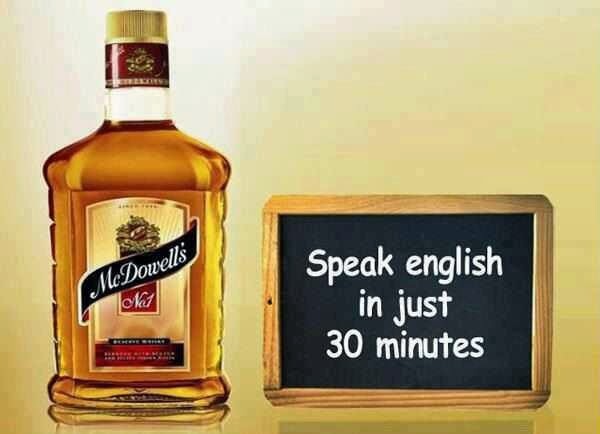 1) When we are drunk, English becomes the official language of Indians. Alcohol has the strength to make anyone speak English in just 30 minutes. The speaker will not have any stage fear while speaking in English. 2) Drunkards pee a lot than normal human beings. Their kidney system is always clean. 3) Many drunkards puke too. Their digestive track becomes clean in such a scenario. 4) Drunkards speak the Truth even if that means they will be slapped. They speak the truth and nothing but the truth. 5) Every one should have a drunkard friend. How else will you know that your drunk friend loves you at 2 am in the morning. When they are drunk, the remember you and they show their love and affection by calling you in the middle of the night. 6) Drunkards are natural dancers. They invent dance moves that can never be duplicated or replicated by anyone else. Those dance moves are patented by them. 7) A drunkard never quits. He is a warrior. No matter how many times they fall down, they always get up and say "One peg more" ; unless they end up sleeping. 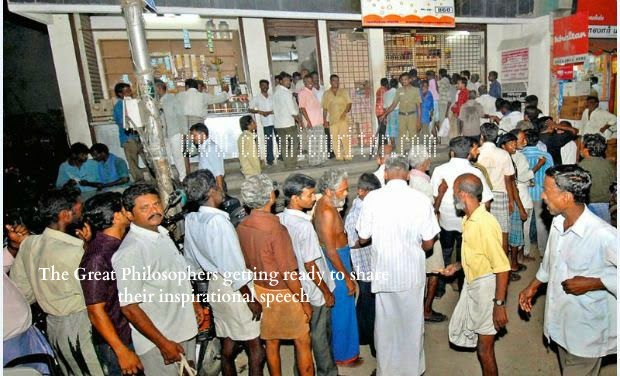 8) Gaptun Vijaykanth is a drunkard. Drunkards save the nation from Bagisdan Terrorists. 9) A drunkard is a one man army. See this one many army and understand for yourself. 10) Drunkards can adjust and adapt themselves to any living conditions. They are legends. They can even sleep inside the loo. Some can even sleep one whole night inside a ditch. 11) Drunkards can fly. They are supermen without an underwear. 12) Drunkards can do the cat walk with ease. They walk on all fours many a time. 13) Every drunkard is a Philosopher. 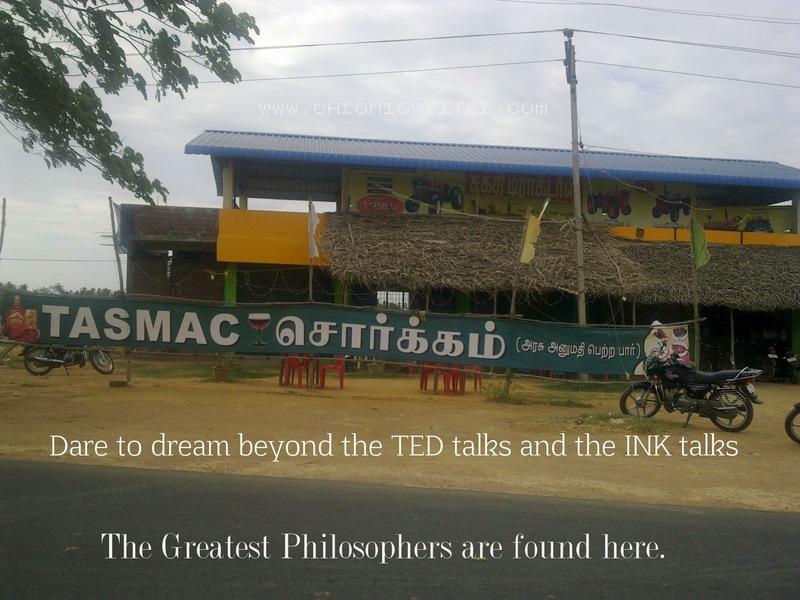 The greatest Philosophers are found inside a TASMAC bar. If only hidden cameras are placed at each tables in a TASMAC bar, the philosophies shared in each table will draw more Youtube hits than any inspirational TED videos. Such philosophers definitely need a bigger platform.